(1) Drop on Fields “A” and “B” (See Map D) at 0830I and secure drop area. (3) Support the amphibious landing of the 3d Battalion, 34th Infantry by fire. (4) Effect contact with 3d Battalion, 34th. 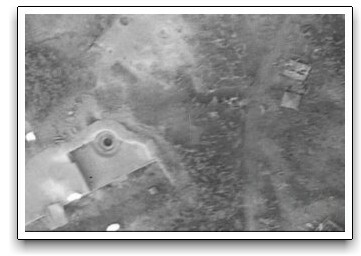 (1) Drop on Fields “A” and “B” at 1215I and relieve the 3d Battalion from defense of the perimeter around the drop area. (2) Exploit the terrain north and west of the Drop Zone. (1) Drop on Fields “A” and “B” on D + 2 at 0830I as RCT Reserve. (2) Be prepared to exploit terrain south of the Drop Zones. In considering the aerial assault, we must keep in mind that the Japanese airforce was almost non-existent at this time and we had air cover throughout the flight. 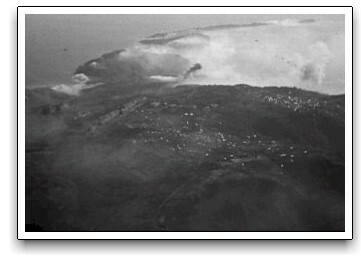 While the transports were closing on CORREGIDOR, B-24s and A-20s were bombing and strafing the island. These aircraft picked up light ack-ack, but immediately smothered it with machine gun fire. One flight of A-20s were on stand by with smoke, should the rock force commander call for it. The Navy also closed in for a few broadsides at the rock. When the Second Battalion reported into the CP Net, they relieved the 3rd Battalion on the perimeter, which left them free to start the consolidation of Topside. For the remainder of the day, the 3rd Battalion fought as companies and platoons. Their patrols spread out like the fingers on your hands and with the help of Naval gunfire began to probe the Japanese positions. During the first lift, one of our planes carrying a demolition section from Regimental Headquarters Company developed engine trouble, and had to drop out of formation while out at sea. A message from the Command Ship of the second lift informed the Rock commander that the plane had made land over LUZON and that the troops had bailed out near SAN MARCELINO. It was later learned, that the troops were picked up, flown back to MINDORO, and came in with the 1st Battalion. By 1500 hours, the Rock Force Commander felt the situation was well in hand. He requested permission for the third drop to be cancelled. 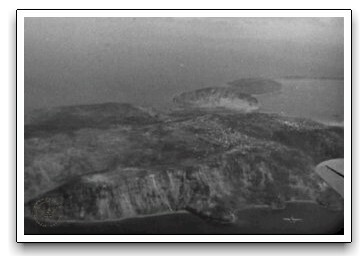 He recommended that XI Corps arrange for the planes to fly over CORREGIDOR, drop their bundles on “A” Field, land at SAN MARCELINO, (See Map B) and come in by landing craft on SAN JOSE beach. This plan would give Colonel Jones one Battalion Combat Team, intact, without the causalities they would sustain on a parachute drop. The XI Corps Commander concurred with the recommendation, and made necessary arrangement for the change in plan. At 1700 hours the 3rd Battalion, less G and H Companies, pulled back into the perimeter on Topside. Machine guns were put into position, positions checked, artillery and mortars registered, and coordination had been made for destroyers to fire star shells during the night for illumination. At this stage, he who controlled Topside, controlled CORREGIDOR. During the early part of the evening, a staff meeting was held to lay plans for the coming of daylight. It seems as though daylight was always a scarce substance during this operation. The plans were simple. Each Battalion was given a sector and told to kill all of the Japs in it. From this meeting came the first fairly accurate casualty report for the drop and for the subsequent action. The reported figure of jump injuries was 161, but more were expected to come in for treatment when things quieted down a bit. This proved to be true, the final figures on jump casualties were as follows 3 KIA on jump due to malfunctions of the parachute, 2 KIA on striking obstacles on landing, KIA before they were out of their harness 8, and injuries running from light to severe - 203. 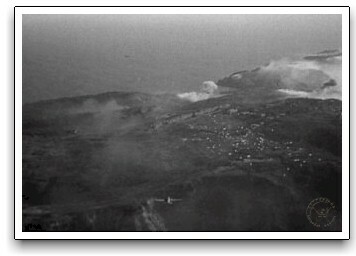 Nine men were blown over the cliffs into the water and were picked up by PT boats. A total of 11%. (55) At this briefing and all others called by the Rock Force Commander, he followed a set pattern. He merely gave each Battalion a mission; he then asked the Battalion Commander what help he wanted to do the job. It then became the Task Force Commander’s job to coordinate the firepower and logistical support necessary to complete the job. This method proved very effective. At this meeting, a status of weapons was rendered. The F.A. 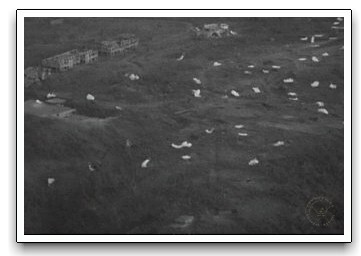 had only 5 howitzers in action, out of 9 dropped, 2 were damaged on landing, and 2 more were under such heavy enemy fire that they were unable to retrieve them the first day. 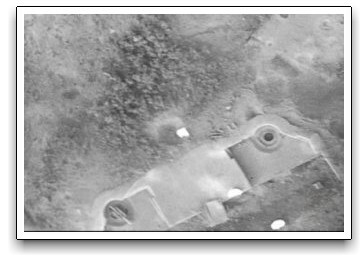 (56) Several 81 mortars and light machine guns were damaged on hitting rocks or other obstacles on landing. Airstrikes were teed up for the 17th. and plans were made to cover all of Topside with fire while the 1st Battalion (3rd lift) was dropping their bundles on “A” field. During the night, the enemy was seen moving about apparently trying to get organized. 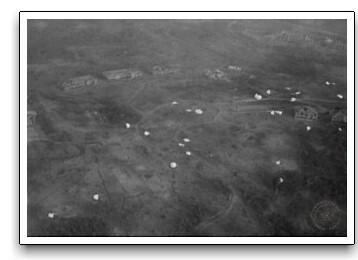 They probed our perimeters all night, and a few rounds of mortar fire fell on our position. Communication wires were cut and men were hit. The Medics worked as best they could, but movement at night was restricted. Anti-aircraft fire against the first drop was light. The JAF was non-existent in the skies, we had aor-cover throughout. 3,128 tons of bombs were dropped in the 3 weeks prior to the drop. Given the small area, it was quite a saturation. 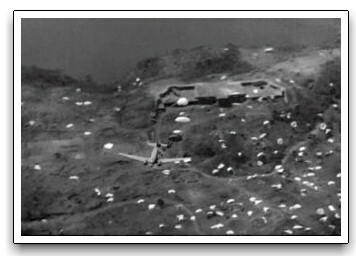 The drop zones were 1050 and 975 feet long, wide enough though for only a single aircraft. The prevailing headwinds were blowing 15-20 mph. The jumpmaster had to delay the command several seconds lest the winds blow the stick far short. Battery Wheeler was the "go" point at "A" but the count had to be at least seven seconds beyond it. Adjustment of altitude and counts were made from a control aircraft overhead. 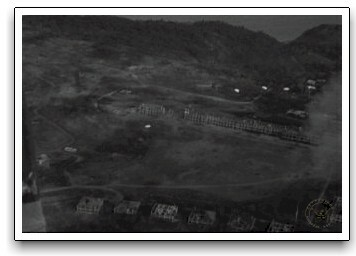 Battery Wheeler was determined as a "go" point as it was the landmark most clearly visible on the approach. The name of the Battery, though, was unknown to us. It was referred to as "the big battery." The reception for the second lift was much hotter than that of the first. Experience in the first lift had showed it was better to delay for six seconds after the go point. It wad difficult to fire since our troops were landing amongst the Japs. Several men landed shooting and some were killed still in their harness. The line of buildings adjacent to the beltline road became the perimeter - the Japanese controlled the area on one side of the building, and we had the other. With the arrival of 2d Bn., 3d Bn. was freed from guarding the perimeter and began to patrol aggressively as companies and platoons. The search for bundles was ongoing. A full mortar was lost, and also a 50 cal MG. While "G" and "H" supported the landings of the 34th, 3d Bn HQ, Regimental HQ and Service Companies mopped up inside the perimeter on Topside. By 1700 hrs, the 3d Bn, less "G" and "h" Companies pulled back within the perimeter on Topside.